Happy Birthday, Rocky Mountain National Park! 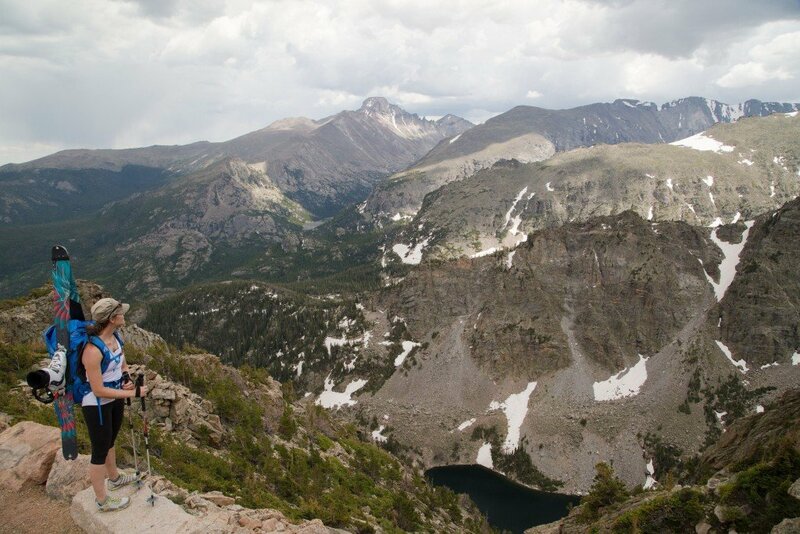 On January 26, 1915, President Woodrow Wilson signed some paperwork that allowed a chunk of land in Northern Colorado to become Rocky Mountain National Park. 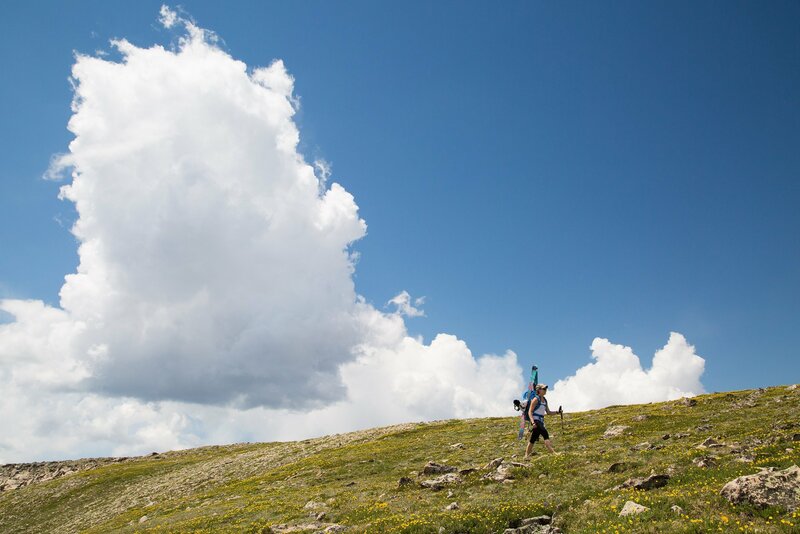 With that, the 265,000+ acres became a piece of Colorado history that has continued to expand throughout the years. To be sure, the park has seen it all. In June, 2010, a lightning strike cause a wildfire that burned over 1,500 acres. And in September, 2013, both the park and nearby Estes Park suffered from serious flooding caused by the crazy 500-year floods. The park closed for seven days but many of the roads, along with parts of Estes Park, were closed for weeks. Some wondered how the area could even recover. Now that I’m an adult, I find myself wandering back to the park, rediscovering the adventure that I once found as a kid. Two years ago, Will and I took our Avy 1 course in RMNP, digging snow pits and conducting beacon searches above Bear Lake. 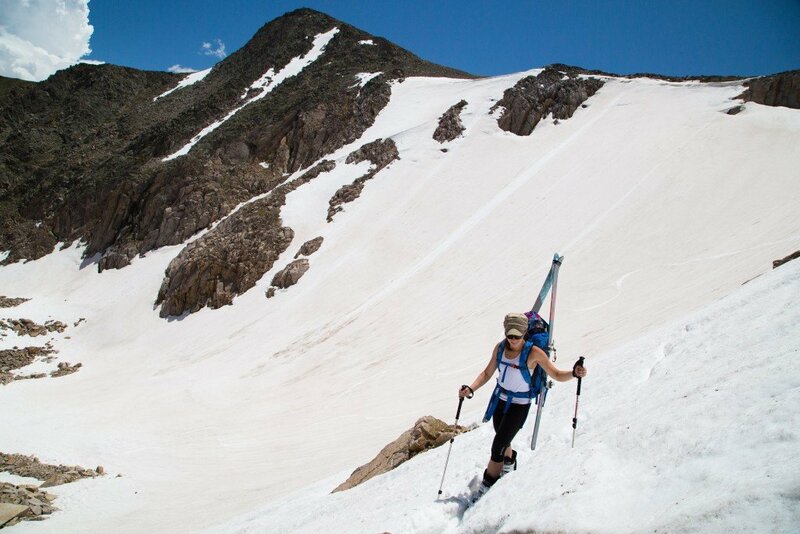 We spent Independence Day, 2014, hiking our skis up to Tyndall Glacier via the Flattop Mountain Trail. And why wouldn’t we? Skiing in July is awesome and earning your turns while wearing capris just can’t be beat! I sometimes forget how fortunate I am to have such a beautiful national park located just down the road, but I’m determined to capitalize on it this year. After all, I may only have ten 14ers left on my list, but Longs Peak is one of them! Happy birthday, RMNP. Here’s to another 100 years! Yay! I Love RMNP. Sometimes I take it for granted but damn it’s an awesome place to explore.